Sheet bend knots, also known as weaver’s knots, are commonly used in the textile industry (See Reference 1). 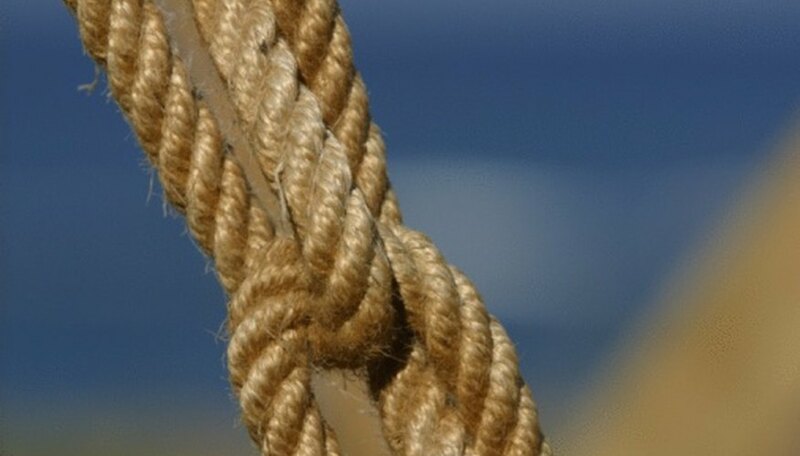 Like the name states, weaver’s knots are used to tie two pieces of thread together. Tying knots can be intimidating because of the numerous steps that need to be taken, but with a little practice, you can tie a weaver’s knot in a matter of seconds. Make a loop with string one and hold it in your left hand. Push string two through the loop in string one. It is similar to threading a needle. Wrap string two over, under and around the loop of string one. Place the tail of string two under itself but above string one. Pull string one in the opposite direction from string two. Pull string two in the opposite direction from string one. You've now tied your first weaver’s knot.